AFRICAN low-cost airline Fastjet announced yesterday that it will reintroduce direct flights between Johannesburg and Victoria Falls at the end of the month. In a statement, the airline’s regional marketing executive Ms Faith Chaitezvi said along with reintroduction of flights between Victoria Falls and Johannesburg, the bulked-up operating schedule will be launched on July 31. “In addition, the carrier will be bulking up its route between Harare and Victoria Falls with daily and at times twice daily frequencies while the carrier’s recent increase between Harare and Johannesburg will be further supported with a fourth flight between the cities on peak-demand days,” she said. Fastjet will now operate more than 78 flights weekly on its Zimbabwean routes. “Fastjet’s on-time performance permanently hovers around the 90 percent mark and the airline was recently recognised by the prestigious industry body Skytrax as the Best Low-Cost Airline in Africa,” said Ms Chaitezvi. It is hoped that the reintroduction of direct flights between Johannesburg and Victoria Falls would make access to one of southern Africa’s most popular attractions more affordable. “We expect passenger volumes to include international connecting tourists as well as a considerable number of South African travellers whose geographic proximity makes weekend breaks and longer-term vacations an attractive and affordable leisure option,” she said. She added that high demand prompted Fastjet to increase its frequencies between Harare and Victoria Falls to a daily service with, during peak weekly cycles, double daily frequencies. “This represents a near 50 percent increase in flights from the capital with demand soaring beyond traditionally limiting seasonal boundaries,” said Ms Chaitezvi, adding that airline’s introduction of additional capacity answers this growing demand. Recently, Fastjet announced positive movement on its route between Harare and Johannesburg when up to three daily flights were introduced. “However, demand over the past month has shown that on peak-demand days there is the opportunity to introduce a fourth flight,” she said . Presently, the airline operates three international routes to and from Zimbabwe (Victoria Falls to Johannesburg, Harare to Johannesburg and Harare to Dar es Salaam). 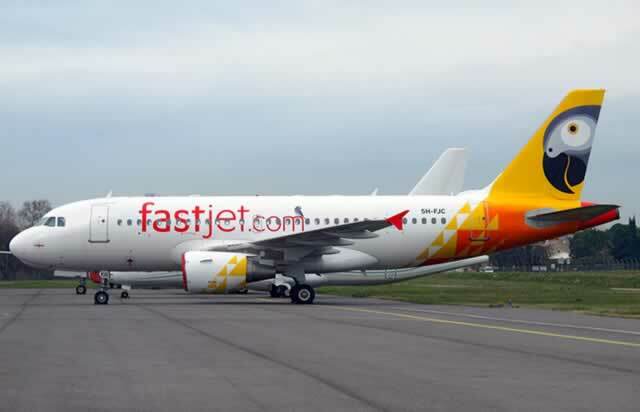 The Johannesburg-Victoria Falls route was suspended temporarily in January this year during Fastjet’s stabilisation plan implementation which saw the business implement fleet and network changes, amongst others, to right-size it for the markets wherein it operates.